Enter the season of all things striped! 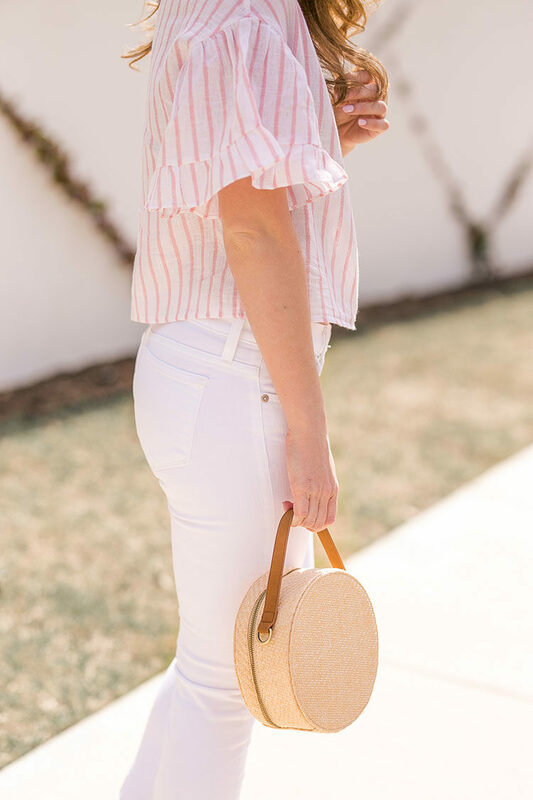 I remember being wow’d by all of the darling striped pieces I came across last spring, and they’re back this year in full force. 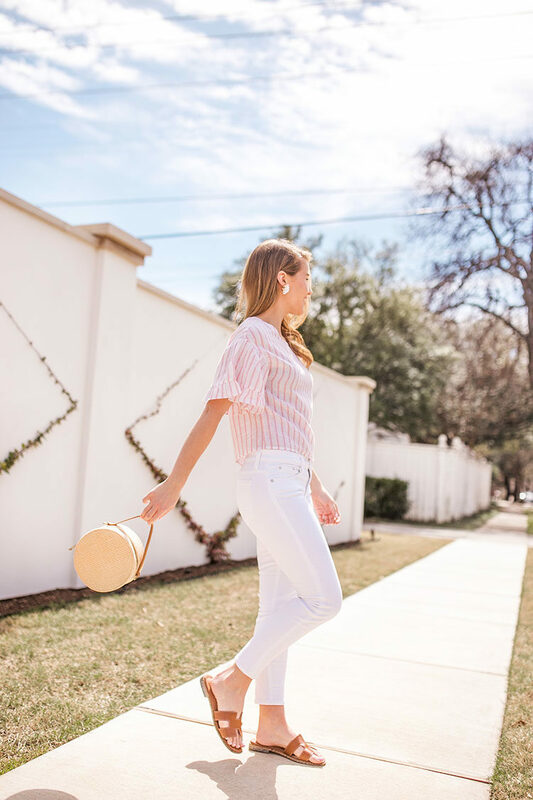 From dresses to pajamas and all things in between, the classic stripe brings an element of timeless effortlessness to any ensemble. 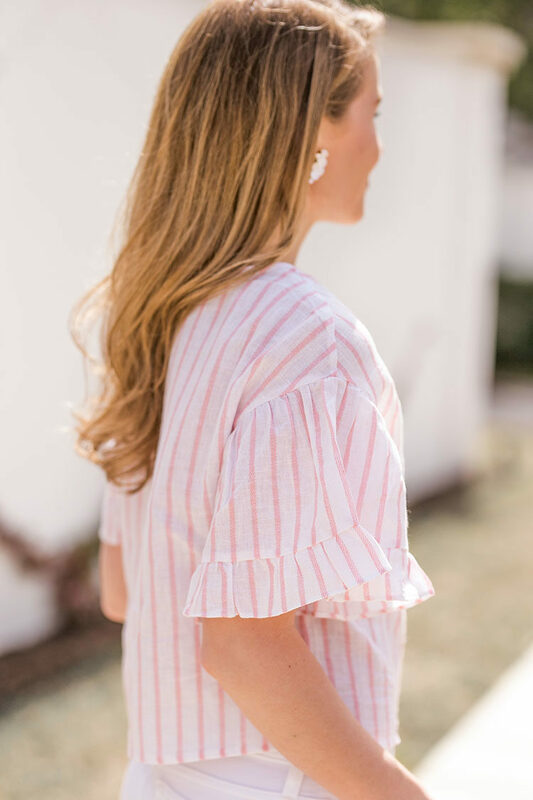 If you don’t have stripes in your wardrobe yet, this little striped linen top is a great place to start. I love the feminine pink shade and the flirty ruffled sleeves. The fact that it’s cropped makes it a perfect pair to a sweet high-waisted skirt or high waisted skinny jeans, don’t you think? SUCH a good top! 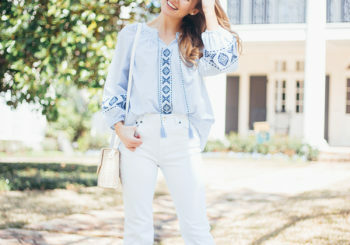 Love it with the white denim! Love this luck! I am seriously loving the striped trend lately. So sad those shoes are sold out.